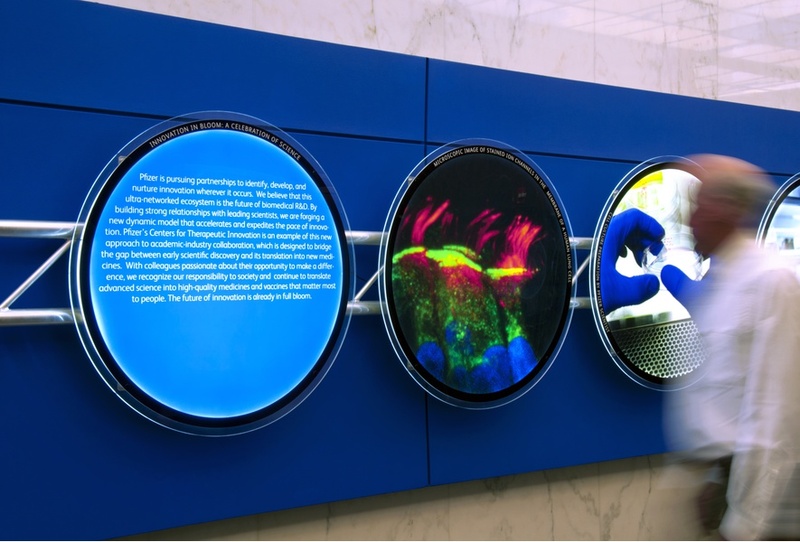 Innovation in Bloom is an innovative display created by C&G Partners as part of New York Botanical Garden’s Wild Medicine exhibit and annual Gala. 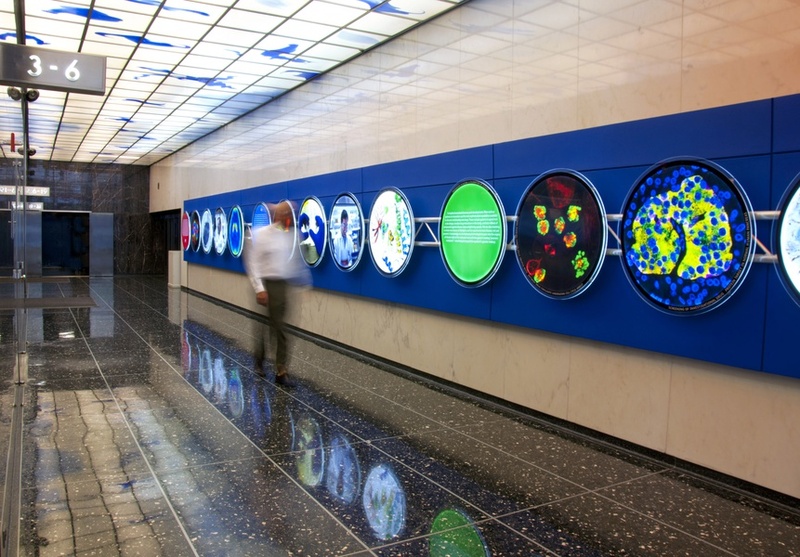 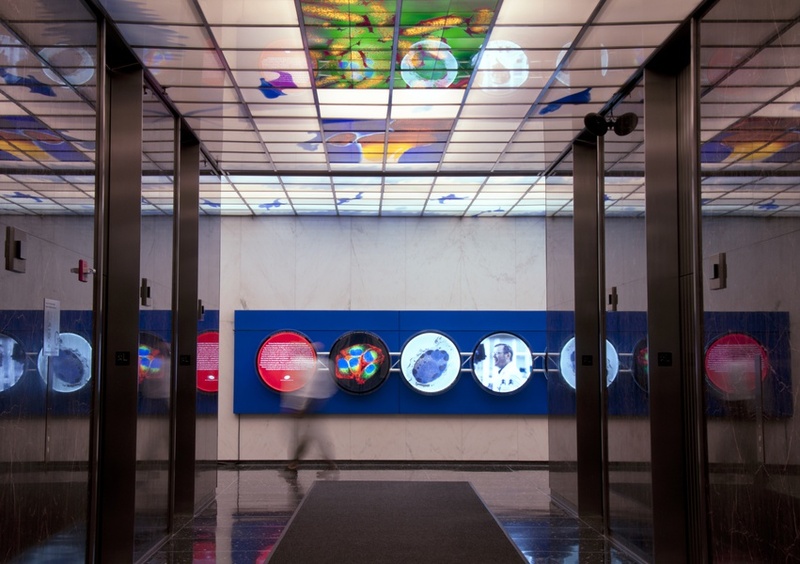 The exhibition, sponsored by Pfizer, was installed as a central lobby display within Pfizer’s midtown Manhattan headquarters. The surprisingly thin, internally-illuminated “lenses” highlight the company’s forward-facing work in research, development and hard-science, while also showcasing the vibrant microphotography produced in Pfizer’s own laboratories.